An experienced local captain; a professional, comfortable boat; and a locale away from busy downtown, make Anglers some of the best in Ketchikan charter fishing. My name is Brian Ringeisen and I’m the Captain here at Anglers Adventures in beautiful Ketchikan, Alaska. I obtained my US Coast Guard license in Alaska at the age of 19, then began working on the Kenai River for three years. My extensive travels in Alaska throughout the years have led me through Bristol Bay, the Alaskan Peninsula and now to my permanent home of Ketchikan. When I take you out on my boat for a Ketchikan fishing excursion, service is always my top priority. I have 26 years of guiding experience and I’ve been a U.S. Coast Guard licensed Captain for 25 years. I’m CPR and First Aid Certified, fully licensed and insured. 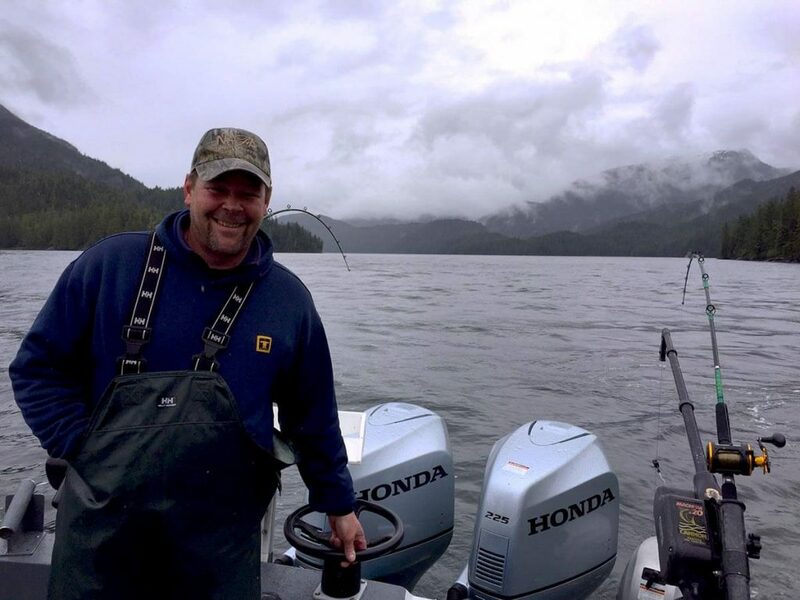 Ketchikan is my home and fishing is my life, and I love sharing that with my guests! "We use Brian every year and it just gets better and better! This year we boated a 48.7 lb king and caught a ton of fish....he knows where to go to catch quantity and quality fish. He also showed tremendous patience with a few people on the boat that were enjoying their first time out on a charter and made them feel like pros when they left." The Sierra Dawn is a 28′ Bayline Trophy with a new pair of 225hp Honda’s, a raised cabin, and new electronics. It’s equipped with a chart plotter, GPS, depth sounders, 4 new Scotty electric downriggers and rod holders. The boat has a heated enclosed cabin, private bathroom, and comfortably fishes 4-6 people for our Ketchikan fishing excursions. The F/V Sierra Dawn is an authentic Alaskan fishing boat waiting to take you on your Alaskan fishing adventure! "This was our first trip and my husband's dream to go on an Alaskan fishing trip. We had so much fun and he caught a 21 lb King Salmon! We had it processed and sent home and just shared for dinner with our friends! What a fantastic adventure and Brian was GREAT!" Anglers Adventures runs out of Knudson Cove for our Ketchikan fishing excursions. Knudson is a short drive away from the hustle of the downtown waterways. Pickup is available for multi-day charters and for all others – Ketchikan has a multitude of taxi cabs to bring you out. If you are interested, accommodations are available in the Cove area, read more here. 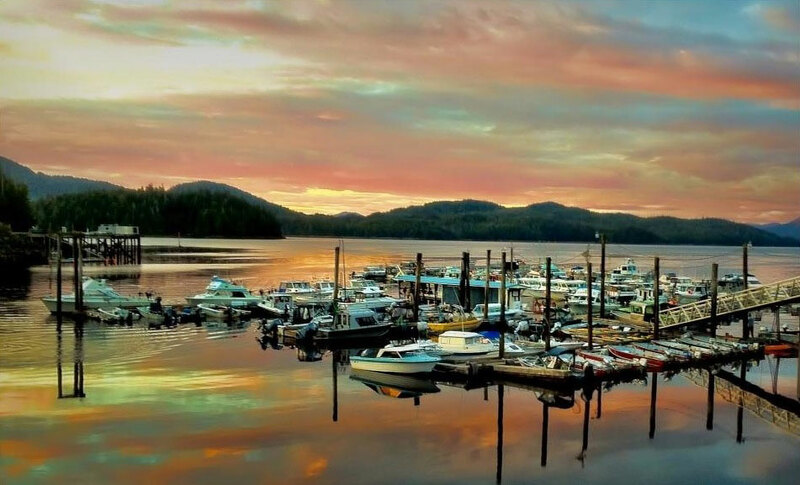 The short drive from Ketchikan to Knudson gets you away from the busy downtown and straight to the best fishing spots in these Southeast Alaskan waters! Call Brian at (907) 254-0880 now for more information or to make a reservation.